Motorists taking to the roads of Yorkshire are reminded of the importance of keeping local carriageways free from litter and rubbish. Contractors for Highways England have so far this year collected in excess of 4,000 sacks of litter from the region's motorways network – one-third more than at the same point in 2015. 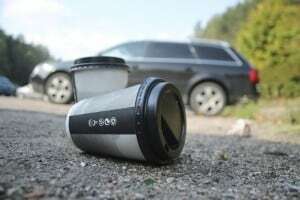 Travellers across the whole of the nation's transport network are therefore being urged to take their rubbish home with them and not leave it littering the side of the road, as doing so can not only cause an eyesore for local communities, it can have a detrimental impact on local wildlife. Highways England service delivery team leader for Yorkshire and the Humber Roger Wantling commented: "Our contractors collect vast amounts of litter from motorways every year, but we'd much rather they spend their time carrying out other essential maintenance work. "The litter on our roads can cause a hazard to drivers, our workers and wildlife, so I'd urge everyone to keep a bag in their car which they can use for rubbish, and then put it in the bin when they get home." Mr Wantling added that clean-up crews are regularly having to target areas of particularly high volumes of rubbish that is left by road users and added that "it would be great" if during the coming summer months and beyond, this would be less of a necessity.